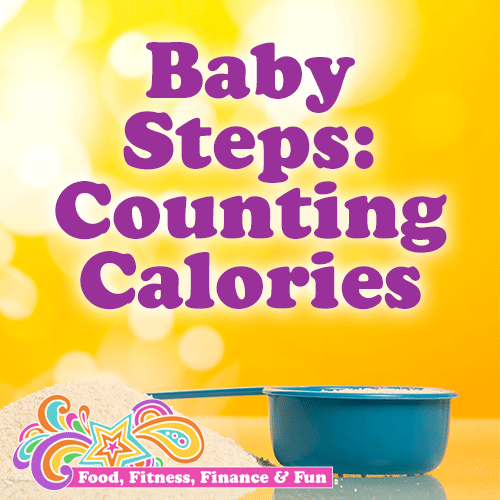 I had a friend ask me the other day about “counting calories” and I was shocked. I guess since I have been obsessed with counting calories since I was 12 years old, I assumed everyone knew the ins and outs of calories!! Her questions made me realize not everyone understands calories, the part they play in our weight loss/gain, how easy it is to lose track of calories, and how to use calories as part of your daily health routine. Before I get started, I know there are people out there who don’t believe in calories and think that counting calories is obsessive and disordered. If that is you, you don’t have to read this article. This is for the people who want to understand better how calories impact your everyday life and how small decisions daily can have a big impact on your weight and health. Oh, and calories are actually science, not theory, and IMO a little obsession is fine when it comes to my health. And finally, all this, as always, comes from my opinions and my experiences…this isn’t the American Journal of Clinical Nutrition. Basically a food calorie is approximately the amount of energy needed to raise the temperature of one kilogram of water by one degree Celsius. Boring right? So a calorie essentially measures energy. Food gives us calories and energy, exercise and movement burn calories and energy. Easy enough! One pound of true weight gain (fat, not just water) is an excess of 3,500 calories. So when you think you gained 5 pounds over the weekend, you probably didn’t…unless you ate an excess of 17,500! Good news is that if you do something as small as take 100 extra calories out of your diet a day, you will lose 10 pounds in a year!! Bad news is that if you add 100 calories a day, you gain 10 pound in a year. But the best news is that you can make that choice…every single day!! Yay! This is where I think most people (including me) go wrong. You aren’t sure how many calories are actually in the foods you eat. In a nutshell, fat has the most calories, then alcohol, then protein and carbs. Calories are listed on foods according to serving size. The problem is that serving sizes were determined by the average amount a person would consume…but like a zillion years ago!! We eat way more now. For example most potato chips have a serving of 6-7 chips. Hilarious! Like that’s even an option!! Plus some foods that are healthy are super calorie dense like nuts. Please eat nuts! But a cup of nuts (the amount I tend to eat in one sitting) has about 800 calories, which is half the daily calorie intake of an inactive adult!! In addition, some food we think are healthy like a salad, can have toppings and dressings that bring it easily over 1,000 calories. For example T.G.I.Friday’s Santa Fe Chopped Salad packs a whopping 1,800 calories!! I do agree there is a fine line between awareness and disorder when it comes to counting calories. When you are counting every calorie to the tee and making sure each workout burns exactly that number of calories, you (ok me) may be going overboard. Yes I have been there and am over it! It’s very tedious and discouraging. You run on the treadmill for 30 minutes, burn 350 calories, and then eat one piece of pizza and your back to zero…sad face! But I also swing the other way pretty quickly and think my smoothie each day is a “normal” meal, then I crunch the numbers I see it has almost 1,200 calories. So I do think there is a happy medium. Awareness is key. When I loosely keep track of my calories in and out and can make decisions daily based on the numbers, I lose weight!! Genius! My favorite app for this is MyFitnessPal. It’s free, user friendly, and has a gazillion foods stored in it from hundreds of restaurants and thousands of brand names. It will take some time at first to navigate and learn how to do everything, but in no time at all it will only take you minutes a day to enter your data. I recommend the first week just inputting what you normally eat. And then each evening after dinner, check it out. Analyze each day and each meal and decide based on the numbers of that is a choice you want to continue with in the future. And remember you can make teeny tiny changes. Like maybe you put 2 tbsp of mayo on your sandwich and once you see the number of calories that adds to your lunch, you decide to use 1 tbsp and save yourself 60 calories. Or sub an extra veggie for dinner instead of the starchy potato or pasta. Yes you are allowed 2 veggies at one meal! What?? Or by measuring your cereal to a cup instead of shaking 1 1/2 cups mindlessly into a bowl, you can save another 50-100 calories. Just these small changes would add up to a pound of weight loss every 2 weeks! Awesome! I hope this was helpful in showing you how easy it is to take responsibility for your health, nutrition, and weight loss. With MyFitnessPal it’s super simple, but if you don’t want to go at it alone I have a couple options for you. Or if you want a personalized meal plan based on your goals, time restraints, budget, and foods you like/dislike, I have custom meal plans that start at $99 a month. Email me at CoachSmith@usa.com to get an application for a custom meal plan.